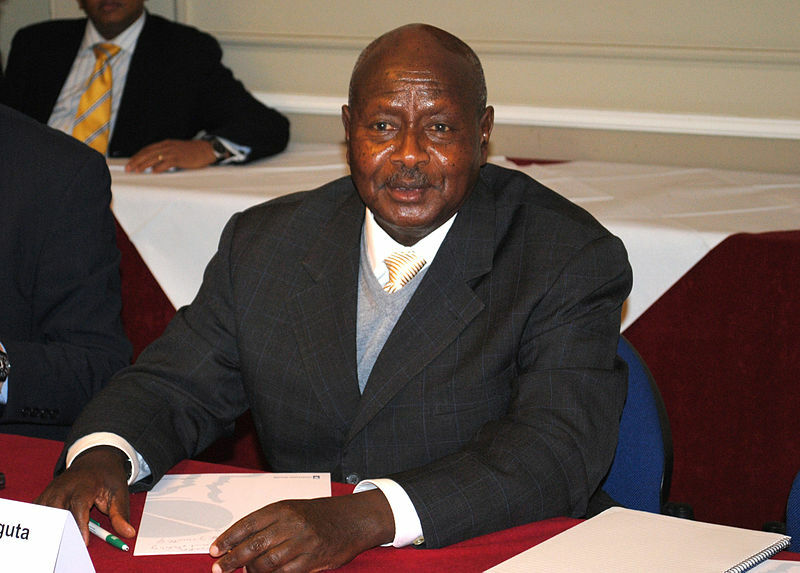 Ugandans will soon watch incumbent President Yoweri Museveni be sworn into office for his controversial fifth term after he won over 60% of the vote in elections in February 2016. With the inauguration ceremony coming up on May 12, the Uganda Communications Commission ordered on May 11 that access to social media within the country be blocked. This is déjà vu for Ugandans, who experienced a forced shutdown of social media for four days during the February 18 election, in which opposition leader Kizza Besigye took 35% of the vote. The political opposition claims that the poll was rigged; international observers and human rights groups have also criticized the election process. Besigye and other opposition figures have been under house arrest for much of the time since February, and have relied on social media to organize what they're calling a “defiance campaign” of protests. Besigye was only able to file a legal challenge against the election results with the help of former Prime Minister Amama Mbabazi. The court eventually ruled that Museveni, who has been in power since 1986, had been rightly elected, and May 12 was chosen for his swearing-in. In preparation, major roads have been blocked off and the army was heavily deployed around the capital city of Kampala. Besigye was also arrested yet again as he tried to make it to town to be inaugurated by his party in an alternative ceremony. As of the evening of May 11, some Ugandan users were reporting that they couldn't access social media sites like Facebook and Twitter. Dear Customers, as per UCC directive Social media has been temporarily blocked however all our other services are available. We regret any inconveniences caused. Netizens who are still able to access social media have started to sound the alarm. But why block Internet access ?? We're bundles threatening to storm the swearing in ceremony…Uganda is led by jokers.